Arnold was just a young boy when his father died. He has no memories of him – just photos. Soon after his father’s death, Arnold’s mom left to find work and he moved in with his grandmother. Even though Arnold felt the loss of his father, and the distance from his mother, he says his grandmother’s love and care has made a lasting impact on his life. Arnold’s grandmother worked hard and made sacrifices for Arnold’s education. Her dream was -and still is- that her grandson would one day graduate from university and pursue a career that matters. Outside of classes, Arnold was always learning new things from his uncle, who studied Information Technology at university. Arnold remembers being fascinated by how his uncle could use computer applications to solve problems and make life easier. 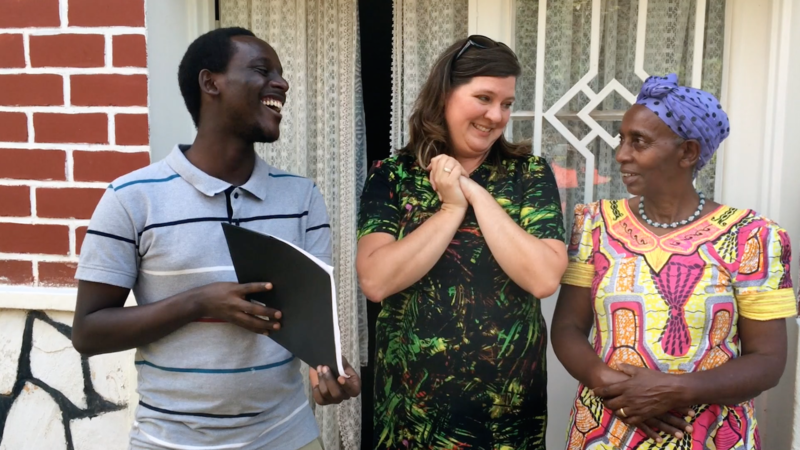 From the example of his uncle and grandmother, Arnold became determined to go to university and study IT in hopes of learning a skill that would help his people rise. After taking the national high school exam Arnold was accepted to the National University of Rwanda, and with a Leadership Loan from These Numbers Have Faces, he will soon be graduating with a degree in Computer Science. 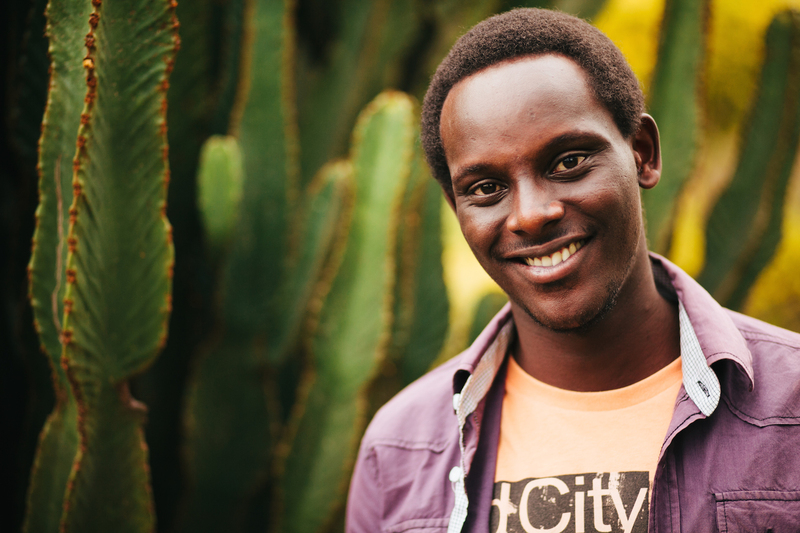 His dream is to create an app for Rwandans to make purchases via their mobile phones. Tina, These Numbers Have Faces International Programs Director, had heard from Arnold about his story and his amazing grandmother. Tina knew she had to meet her, so Arnold arranged a visit. When Tina met Arnold’s grandmother, she said she could easily see where Arnold gets his work ethic and determination. But Tina also had ulterior motives for her visit that day. Standing between Arnold and his grandmother, Tina told them they were filming a thank you video for These Numbers Have Faces supporters. Then, she turned to Arnold and told him that he had been selected for the prestigious internship at Amazon Lab126 this summer in San Francisco! Arnold burst out laughing, turning to his grandmother to translate the news. The two immediately began hugging and praising God. Not only will the internship help increase Arnold’s IT skill-set, it will also surround him with those who have made successful careers in computer science. These are the professional role models and mentors he has been waiting for. Try to be a person of value rather than a person of success.